GAMES ROOM - Meerca Chase, for a long time, was Neopia’s #1 Neopoint-earning game. Users would obsess over the game, knowing that they could earn many Neopoints if they played enough. It was among the greatest games of all time. However, this game is no longer the star, for another, which now basks in its renown and glory, has recently replaced it. What is its name? Yes, Meerca Chase II! Not one, but TWO. It is sure to be an astounding hit for all of Neopia’s gamers to enjoy. From the old classic mode to the new, ultra-challenging maze mode, this is a truly astounding game for Neopia to master and explore. You will find countless thrills, excitement, and even be able to stuff your pocket with a bagful of Neopoints on the way. Are you ready to learn more about this cool new game now? Read on! In Meerca Chase II, you play a Meerca who has to collect neggs. On the way, you earn Neopoints for each Negg you collect. There are many, many different Neggs to collect from a lowly Happiness Negg to the ultra-rare Fish Negg. Be ready think fast, for you can’t run into the walls OR the red neggs! Do you have what it takes to grab the high score? Read on! Red Neggs: What are those red neggs you see all over the screen in Meerca Chase II? Those are something that you DO NOT want to catch! Red neggs are bad, bad, bad, bad! You should try as much as possible to get away from the red neggs. Unfortunately, there will be times that the good neggs are so close to the red ones that it’ll be impossible for you to get away from them. If that’s the case, it’s game over for you. The Tail: Unfortunately, your tail size grows as you eat more and more neggs. This can be a huge burden, for as you get further into the game, more, and more red neggs (the bad neggs) appear. This can mean you’ll have to dodge your tail, the red neggs, and the walls… so just be careful. The Wall: The wall… how can I say this? Don’t, whatever you do, run into the wall. It’s a LOT harder to avoid than those red neggs! Take sharp turns, do circles around the game area, do whatever, for if you hit the wall, it’s game over. The Controls: You will use the entire section of arrow keys in the right hand corner of your keyboard at all times in the game. To go up you will press the arrow key pointing up, to go down you press the arrow key pointing down, etc. It’s very self-explanatory. You can only turn at ninety-degree angles. Basically, if you were good with the controls for Meerca Chase I, you’ll have no problems here. Additional Tips: Hard difficulty on Classic Mode is probably the best way to earn Neopoints and get a high score in this game if you can’t get those Freestyle controls down. Don’t ask me why; it just is! I guess one reason could be that the controls are relatively easy and the pay is good considering that this is a really easy mode. Also, you will find that Fish Neggs and other rarities appear much more usually here than in other difficulties and modes. Therefore, if you are striving for a trophy (and can’t seem to get those Freestyle controls correct), you will most like playing Hard/Classic Mode. Also, I suggest practicing a little bit in medium difficulty before you try anything in hard difficulty. It’ll make your gaming experience a lot easier. Freestyle is a new addition to the recent version of Meerca Chase. Freestyle Mode allows more flexibility in turning for your character. No longer must you put up with the 90-degree turns of Meerca Chase’s old format! Also, Freestyle Mode earns you many more Neopoints than Classic Mode. 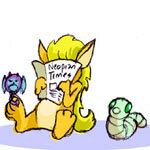 Yes, you did hear correctly: more Neopoints. It’s one of the many exciting new features that the sequel to Meerca Chase offers! Enjoy!!! Controls: Unlike Classic Mode, Freestyle only utilizes the left and right arrow buttons. When you’re controlling your character, it is all based on the angle you are facing. It is extremely hard to get used to the controls, but if you do, it’ll be rather simple for you to earn nice amounts of Neopoints on. I suggest you start out in Easy difficulty and then move up through the difficulties, as you get better. That is probably the best way to get used to the controls. Also, remember not to hold the arrow keys too long, as you will run into your tail quite easily that way. Beware, that the controls are so sensitive that it is very difficult to be totally precise with the turns. Otherwise, the controls for this one are very flexible and are one of the better features that Meerca Chase II has to offer. Additional Tips: I strongly suggest playing this mode only in medium difficulty until you are very familiar with all of the controls. This is because hard difficulty is very hard to use in this mode. Also, if you are striving for a high score, it is very hard to get one on Freestyle Mode. I suggest sticking to Hard/Classic Mode (hard difficulty on Classic Mode) for all of your high scoring needs. However, I find this mode is really fun to play if you don’t want a high score. Give it a shot! It’s fun. Watch out for the hedges! Maze mode is a fast-paced race for the neggs, much like Classic Mode, only with one tiny little addition: a maze! But if that isn’t enough, the pay will! This mode pays much more than any of the others. Twelve Neopoints are given for a Happiness Negg in hard difficulty… talk about amazing! Overall, Meerca Chase II is a fantastic game that is very, very highly addictive. It’ll have you on the edge of your seat at every moment. It’s funny how one of Neopia’s most simple games seems to be the star of them all, eh? Well, I hope you have a fun time gaming and earning Neopoints. And remember to catch as many neggs as you can. Well, I guess it’s “game over” for this article… until next time!